Only a few seconds and you will receive your e-book The Innovation Capability of Companies for free. 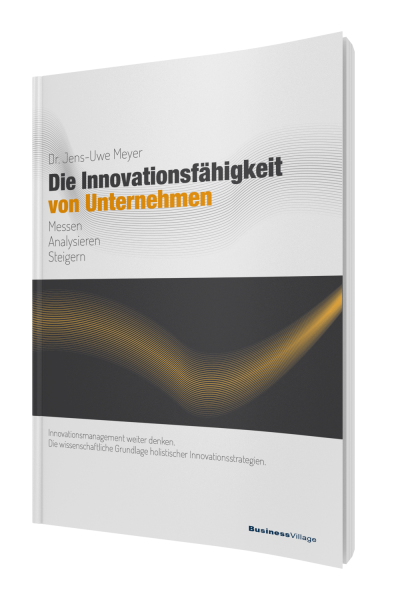 Dr. Jens-Uwe Meyer presents the latest scientific results of innovation management in companies on more than 400 pages. A well-founded source for your research, a scientific foundation for your work in the company. * this ebook is currently only available in the German language. We’re working very hard to give you a translated version soon.